Heeeey! Guess what?! Another blog tour!! Whoo! Anyways. This being a blog tour, today is the second day so you are more likely to read my review, right? lol. please do. BUT. I happen to be gone right. now. I am counseling at my church’s middle school camp. I may die. But please enjoy the tour! C.B.’s blog is HERE. This is where you can find all of the info, tour schedules, etc. DO IT. Aw, guys!! ❤ This book is pure awesomeness! (Though does it beat Twinepathy??) It totally kicks second-book blues! First off, I used this pic in my review for the first book, and I am using it here because it is just as applicable. If any of you have read my review for Twinepathy (or have chatted with me via clicky keyboards), then you should know that I ADORE Blaze. (no, you don’t seem to fully understand the deepness of this) He is everything. BUT. 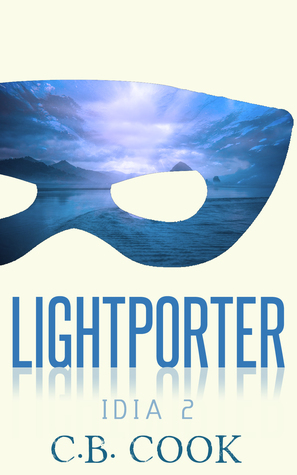 Lightporter is a lot about him. Without delving into spoilers, he isn’t his usually light-and-witty self, but rather kinda snappish. TELL ME YOUR SECRETS, BLAZE. We go deeper into FOE – the EEEEVIL organization – and IDIA a lil’ bit. Much approved. A bit more about Jen. So yas. Albany is still, like, my twin. She is super impulsive and loves action and is slightly jealous because of circumstances surrounding Blaze?? YES. Blaze: Really temperamental and short, but still IS THAT A SLIVER OF OLD BLAZE IN THERE?! I think that it was spotted! Seriously, though. We also find out a bit about his background. Mwahahaa. Ember: She’s a new character, and, um, I’m not sure how I feel about her?? she knows what she wants and she’s cool?? But?? Stay away from Blaze? So yeah, I liked her, but not. Yeah, that totally makes sense. Lissa wasn’t in it much, but I still wanted to put her on here. 😉 She’s new to this book, as well. But she’s very timid, but still sweet. Would’ve liked to see more of her. AND SHE AND I BASICALLY SHARE THE SAME NAME, OH MY GOODNESS, AM I HAVING CARDIAC ARREST? I am seriously called Lissa sometimes. Jen is secrets upon secrets. Dun dun duh! Keller, hello my dear? Are you finally coming into some sense? Fritz had better 100% be a superhero. Liam? Can I marry you at dawn? So, ha ha, that’s what I think. The writing/book itself is great. I love how it kinda just assumes that superpowers are normal, without them, well, being normal. It is very refreshing. Albany and Brooklyn have to do every day life. As for the writing, it is very light and you will just fly through the book when you read it (!!). Everything is very fun and funny, but we still have some AAAAAACTION. GAH. Ladies and gents, read this p-lease! ‘S SO GOOD. Bad content is basically null. There is some action (the extent of violence is unconsciousness). I would say that middle schoolers through infinity would enjoy this! Summary for my rambly review: Blaze, can I buy your island? I have seven dollars and nine cents. P.S. Hope you’re enjoying your camp! Yeah, just got back from camp. Me = tired. Enter your email, my minions, and follow me and my amazing posts by email.